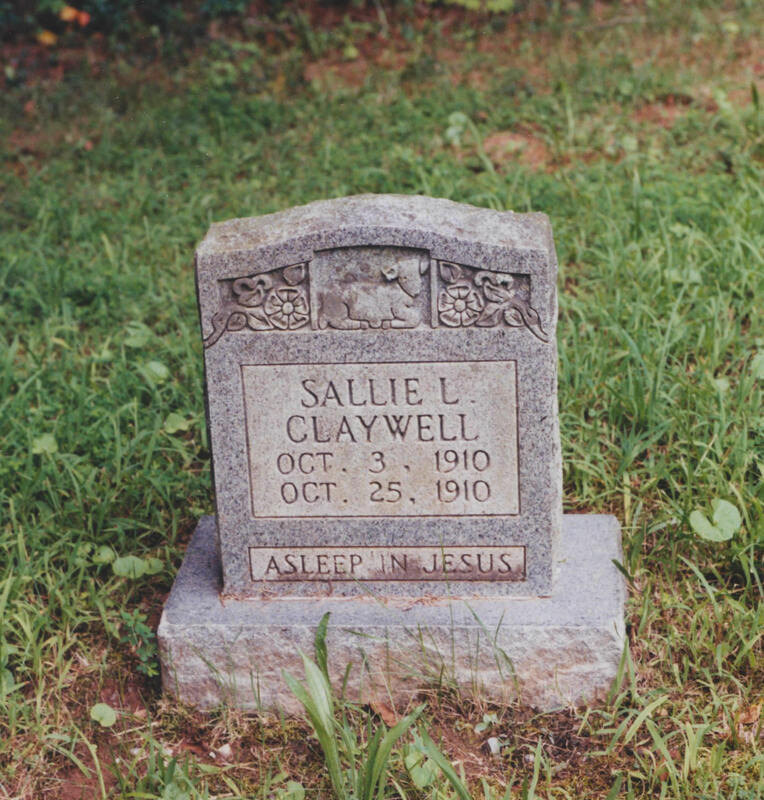 The gravestone of my grandfather, Charlie L. Claywell’s sister. His mother died three weeks earlier shortly after his sister was born. As a family historian, I’ve spent a lot of time in graveyards. I been in small ones, large ones and a couple that were only accessible by foot. Inside these cemeteries a family’s cultural, political and religious leanings can often be deciphered through the symbols and phrases used on tombstones — although some customs, like tent graves, are open to speculation. Although there is nothing wrong with this approach, witty epitaphs give us an insider’s look at the personality of the deceased. Tombstones have come a long way in the past two or three decades. With 3D-style printing, tombstones featuring everything from high resolution color photographs to modern graphics of the stairway to Heaven, these newly styled stones create an out-of-this-world brand for the deceased. It’s not a bad thing. Traditionally graveyards have served as a reminder of the joy, sorrow and temporal nature of life. Modern tombstones often enhance this experience by memorializing the deceased in a manner more consistent with the way in which they lived. It’s been said by many that all you truly control on your gravestone is that dashed line between your date of birth and your date of death — but more and more people are capitalizing on the power of words to leave a message beyond the grave. And some of these people have found creative ways to leave behind an insight — or a smile — for those stopping by to visit. In 1958 a contest was held to find the meanest woman in the world. Alas I married both the winner and the runner up … But if either are buried in this lot beside me there is going to be a resurrection. I try not to rant much — in life or when I blog. I feel plenty of people are already ranting, but occasionally when I come across someone saying what I believe — I push it out for everyone to digest. But, first let me set the record straight. I love baseball. Always have. I spent a considerable part of my youth playing catch, learning to field, hit and score. I followed the Big Red Machine religiously and relished in both of their World Series wins. I still think they are one of the greatest baseball teams ever assembled. But something happened along the way between childhood and parenthood changing my view of youth sports. I’ve attended youth sporting events in the past decade where I felt as if I had been transported to a Will Ferrell movie set. This is because some of the comments I’ve heard parents yell — sounded like Ferrell (think Stepbrothers). I had even come to the conclusion that maybe it was me. Maybe I was old, cranky, tired and irritated. Maybe my inability to enjoy the incessant, juvenile heckling of the coaches and referees proved I was out of touch with how sports should be handled. But I was wrong — it’s not me, it’s them. In Sunday’s Parade magazine, St. Louis Cardinals Manager Mike Matheny, an Ohio native, is interviewed for his recent book, The Matheny Manifesto: A Young Manager’s Old-School Views on Success in Sports and Life where he expands on the idea of making youth sports all about the kids. His quote reminds me of another book every parent and coach should read — Until It Hurts: America’s Obsession with Youth Sports and How It Harms Our Kids by Mark Hyman. Hyman, a sports reporter, gives an inside look at the amount of money spent — and the volume of injuries — caused by the overly ambitious drive of parents who are banking on their child’s professional athletic future. Hyman, though, does not just spout off numbers and stats, instead he takes you along for a more personal ride. The ride of his teenage son who has aspirations of becoming a professional baseball player — a son, who at the age of 18, has Tommy John surgery in the hopes of extending the life of his overused pitching arm. ..with my son in the doctor’s waiting room, I had become the overzealous parent and the accuser had become the accused. Matheny, a Golden Glove winner who has led the Cardinals to the postseason each year since taking over as manager in 2012, was coaching Little League when the Cardinals approach him with a job offer. In his book, Matheny dives into that youth coaching experience and argues that youth sports are about building character and concentrating on the 99 percent who will never make it to the next level of competition. 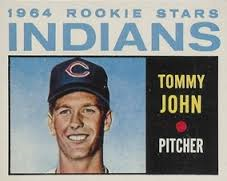 I followed Tommy John’s pitching stats in my youth because he –and the Dodgers — were always standing in the way and trying to prevent the Reds from advancing to the postseason. He had the surgery named after him in September, 1974 and did not play in 1975. However, he was back in 1976 and was named the Comeback Player of the Year. He had three seasons with 20 wins or more after his surgery. Long since retired from MLB, John operates a sports business designed to take aspiring young pitchers to the next level so they can make it in the big leagues. In Hyman’s book, John has this to say about parents. What they don’t understand, and will never understand, unfortunately, is it makes no difference whether you start pitching at eight or eighteen. I can take a kid who has never pitched in his life until he’s seventeen. By the time he’s nineteen he’ll throw as well or better than the kid who’s been pitching since he was eight — and have less wear and tear on his arm. When your dentist’s kid starts hitting you, it’s time to retire! Versa’s past is somewhat uneventful — which is her problem. She was brought to the pound as a pup with her sister (who I always presumed was named Vice — the first half of Vice Versa), but a strange thing happens to puppies inside kennels and rescues — they never learn how to be a pup. There is no fighting, tumbling, or chasing after their brothers and sisters– just a pen, food and daily exercise. It’s not the fault of the organization — but it’s a harsh reality — pups like Versa struggle with fear. Fear aggression is most recognizable by a dog’s need to bark at anything new — situations, people — and the tendency to cower. When Versa first came home, she would quiver and bark whenever strangers came into our house. Even today, nearly nine months later, she barks at visitors until I can calm her down. Although, fear aggresion cannot necessarily be cured — several things help — and they boiled down to the same idea — making Versa feel secure. Security lessens the pull of her past. With Versa, I’m using the tried and tested approach of slow and steady. I take her to a local kennel every three or four weeks so she can interact with other dogs. I walk her a lot without a lease. She is learning she can run off and come back and everything is fine. When family and friends visit they feed her treats and she learns strangers don’t have to frighten her. It’s working. Her demeanor is slowly changing. In recent weeks, she has approached family members, without being coaxed, and let them pet her. We all have a past — my past included being bullied at school and in some ways just like Versa, limited socialization. But at some point, the past is just that — the past and you cannot allow it to dictate the present. You move forward, slow and steady, and find a way to come to terms with the pain and the mistakes. And, eventually you learn, that starting another circle is just the cycle of life. Late 70s/early 80s Christian blues album by Larry Norman. Larry Norman was extremely influential in the creation of what is today known as CCM. He released his first Christian-themed album in the budding (non-existent) Jesus Rock genre in the late 60s. His four strongest albums are Only Visiting This Planet, So Long Ago the Garden, Upon This Rock and Something New Under the Son.